We provide certified experienced Project, Programme and Portfolio Management resources to deliver your transformational change programmes. The resource is available just for the time you need them. Is an interim solution right for you? Do you have a critical project which needs support? Do you have a complex project that needs specialist input? Do you have a gap in the PM team which needs to be plugged? Do you have a project which just needs to be delivered? Are you short of project resources with experience and expertise? Our Interim PPM Resources drive successful change aligned with strategy and vision. 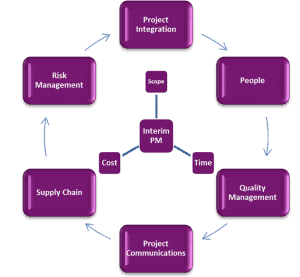 Our PPM Network can supply the right interim for the right industry at the right level. Deliver effective transformational change at a lower cost than hiring a full time employee and benefit from instant expertise. Why hire an Interim PM? Deliver successful rapid projects that may be too complex our out of the ordinary. Finance, IT, Construction, Transformational Change. What accreditations do your PM's have? PRNCE2, ITIL, Agile, Better Business Cases, Earned Value, Facilitation, Managing Benefits, MoP, M_o_R, MoV, MSP, P3M3 and P3O. What industry sectors do your PM's have experience in? Banking, Defence, Local and Central Government, Software, Health and Charities. Are you an experienced and flexible PPM Practitioner? Register for free with us and benefit from joining one of the most professional PPM networks in the world. We have links to Interim Project and Programme management opportunities. As a Registered Interim PPM Practitioner you can benefit from partnering with a fully accredited training and consulting organisation (ACO/ATO).